Looking for Peter Obi, PDP’s VP candidate quotes? 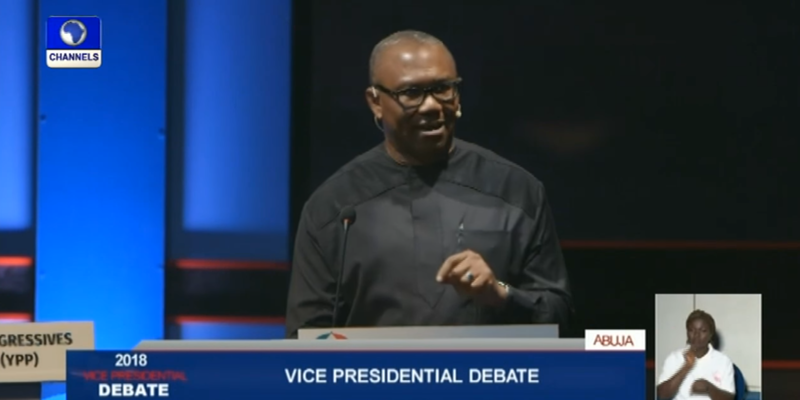 Below are top 7 Peter Obi quotes at the 2019 vice presidential debate. “In terrorism we have moved from seven to No 3; Our inequality (rate) has worsened. Our unemployment rate has moved from 24 to 40 today. We are not supporting SMEs very well.”. I guess our top 7 Peter Obi quotes was lit?